December 2015 sees many new things in my kitchen. 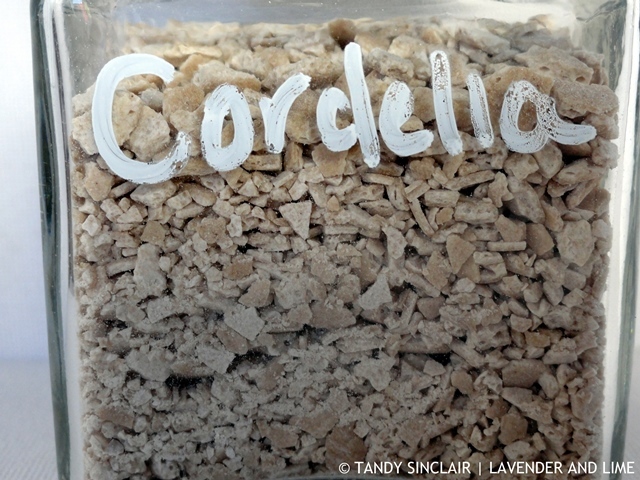 Celia from Fig Jam And Lime Cordial not only hosts these monthly In My Kitchen posts, she is also the ‘mother’ of Priscilla, the most amazing sourdough starter. I was blessed to get sourdough starter from her, via the post, in dry form. I revived my starter, named her Cordelia, and have made great use of my starter in the warmer months. This month, those of us who have Priscilla babies are offering our readers their very own starter. If you live in South Africa and would like some of your own in December 2015, please let me know by completing the form below. You might have read about the happy chicken stock I used. The product range has been expanded to include gravy, chicken meat balls, hamburgers and mince. In the new year Woolworths will also have a new sausage range and some other products yet to be revealed. 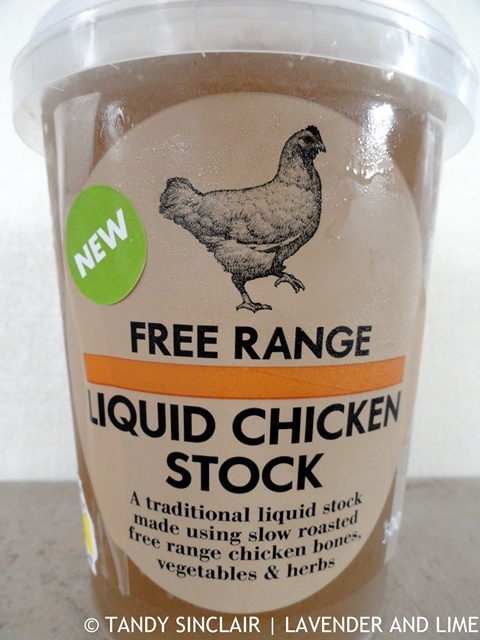 The liquid chicken stock will make frequent appearances in my kitchen as I can get it locally, the day I need it. In my kitchen in December 2015, and out of my kitchen in December 2015 and never to be in again, were Erythritol Granules. I would not recommend that you buy these at all, regardless of the brand. 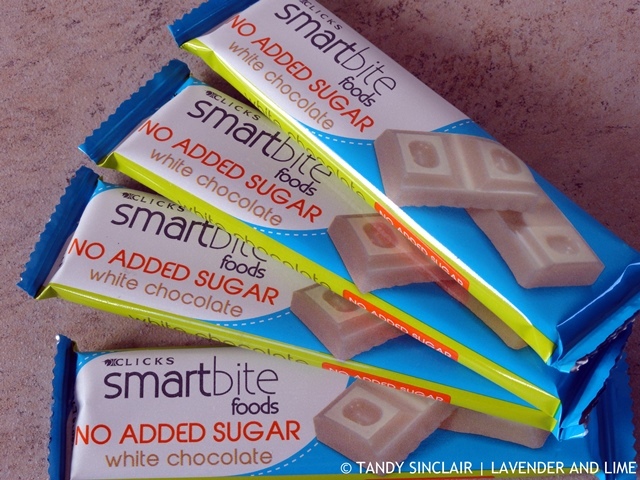 The claim is that this product is an all-natural, no-calorie alternative to sugar that looks like sugar, feels like sugar, and bakes and tastes like sugar. Well, I tested it on three batches of macarons and within days mould had developed on them. It does not bake like sugar either! At R140 for 500g this was a complete waste of money and I will stick to my fructose. I stumbled upon the new range of sugar free chocolates at Clicks and bought 4 of these white chocolate bars. It has been forever since I last had sugar free white chocolate and I have already experimented with 2 of them. They are seriously sweet so I will have to play around with the recipe until I have something not too sweet, and worth sharing. 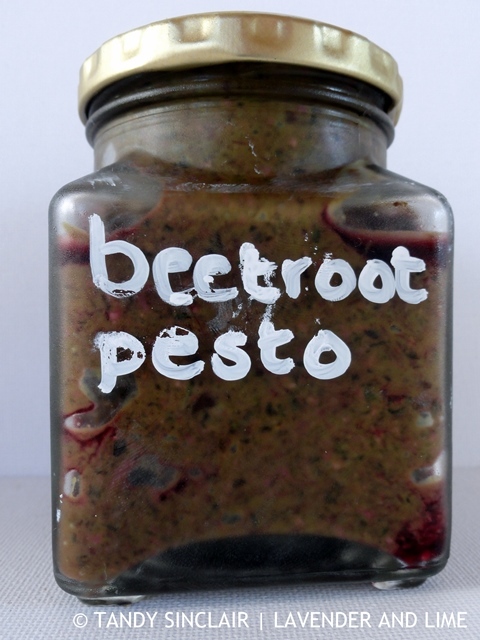 I bought bunches of beetroot and used the stems and leaves to make pesto. This has been great on our roti wraps for lunch over the weekends. 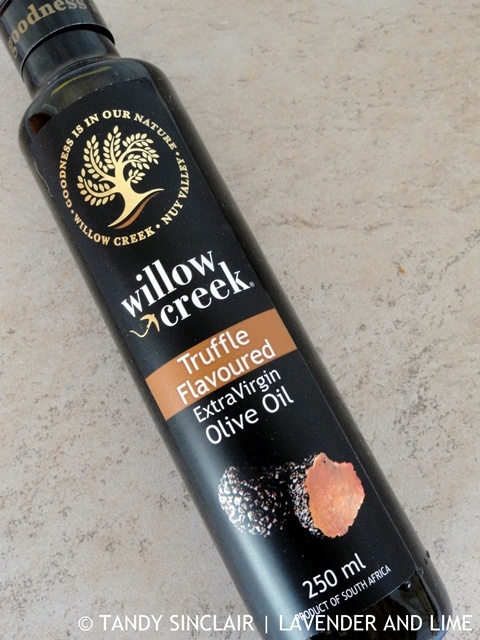 I tasted this truffle flavoured olive oil at the Good Food and Wine Show earlier this year, as well as some honey that had truffles in it. I knew straight away I wanted to make a dessert with the oil. I enquired from the PR company where I could get it locally and Willow Creek kindly sent me a bottle. It is a fantastic product. My loaf pan was looking very sad for itself so I bought myself this new one, that has holes in it to ensure a crispy crust. I was not sure how it would work, but I gave it a go, making my sourdough bread without the olives and sun-dried tomatoes. It worked really well, with a lovely crust. I have made 2 loaves so far and I just need to get the baking time and temperature correct to share a new recipe. 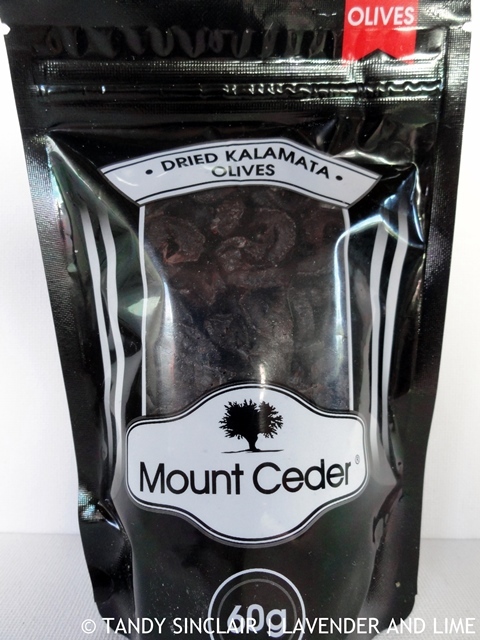 I found these dried olives and have used them in a focaccia. The nice thing is that they don’t add any moisture to the dough. At the same time as I discovered these olives I discovered that the top of Dave’s espresso machine is great for proving bread. 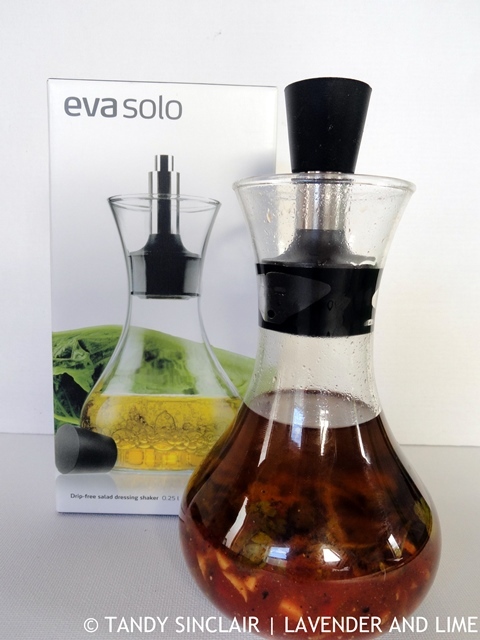 I really like the quality of the Eva Solo products and bought this salad dressing bottle that has a no drip top. You have to make sure that the glass is clean before inserting the top, but it works like a charm. I made Mandy’s salad dressing for this first use and it was really tasty. I will adjust the recipe slightly next time I make it however. My Zyliss digital timer finally said no more and so I bought a new timer. This one has a touch screen and is really simple to use. The screen dims after a few minutes so there is no wastage of battery power. It is attached magnetically to my stove at present. I love that loaf pan Tandy. It has never even occurred to me to try baking the bread in a tin. I have pinned that picture so I can order up a storm in the New Year. Good to know about the Erythritol Granules. I’ll save my money… mouldy macarons sound scary – they are pretty much indestructible once baked. 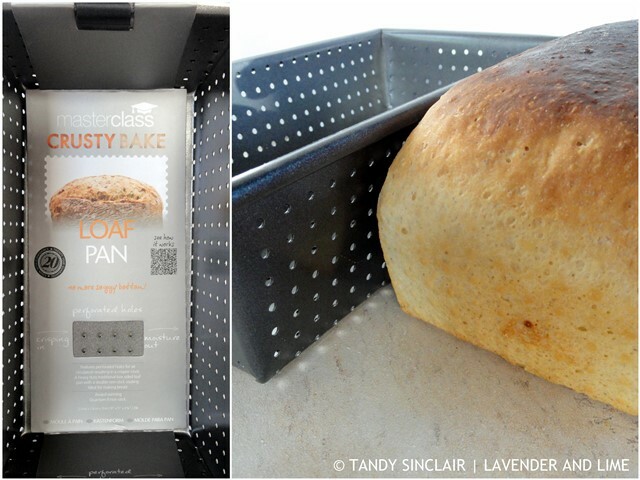 I spied some similar loaf pan in the market last week – I think I’ll spend my money on them instead. I am so glad that you won’t be wasting your money on that ingredient! The beetroot pesto sounds great. So many ways to make pesto, especially when you have access to a good market or grow your own produce. Love the bread pan, so many great products out there. The salad dressing bottle is also quite beautiful. Thanks for the peek in your kitchen. I know this sounds bonkers, but I wouldn’t mind a digital timer just for the heck of it! What an interesting kitchen you have at the moment Tandy! I like the beetroot pesto! What did you use to write in white on the jar? Love that salad dressing bottle, Tandy. Thanks for the peek into your kitchen! I am so envious, many wonderful things! Curious about the beetroot pesto! I wish I was closer to get some of that starter. I can do a recipe for sure! Or you could come and visit …..
Wow, all sorts of great ideas floating around your kitchen Tandy. You are busy! I really enjoy learning about new products and now want that loaf pan and some of that sugar free white chocolate. It’s amazing what one can order online these days, even if the product isn’t local. 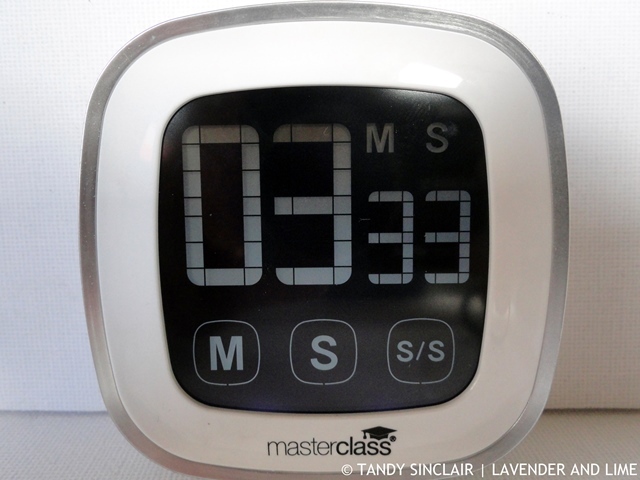 So many lovely goodies in your kitchen Tandy, I especially like your new loaf pan and timer. I usually use my phone. Thanks so much for the mention, I look forward to hearing how you amend the recipe. Thanks for giving us a peek into your kitchen. The stock looks lovely. 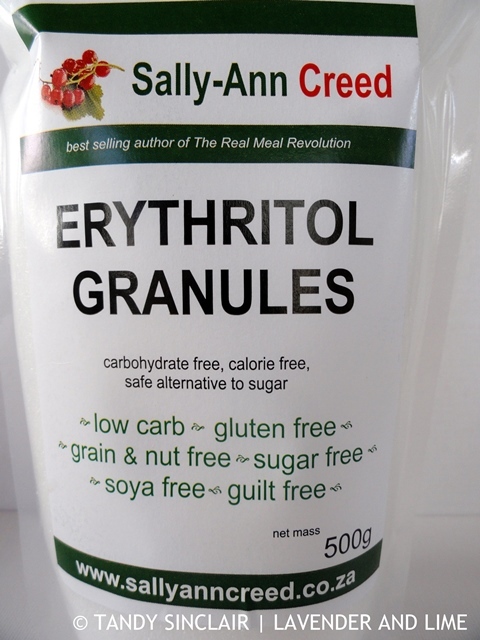 I had never heard of Erythritol Granules before but it sounds like it’s best I stay away!